In this 45 minute webinar we will examine Labour Scheduling and the different options and stages of automation. From intuitive user driven systems, where the user inputs the schedule based on their knowledge, experience and the needs of the business to more "intelligent" based solutions where "the system" effectively builds and optimises the schedule, based on the inputs, drivers, demands, planned and historical data. Futhermore we will look at current trends towards Employee Self Service options and the key benefits of automated scheduling including; reduced absenteeism & overtime, managing employees costs relative to revenue and employee empowerment. In an era when computers can handle almost everything, it always amazes me that some healthcare providers still rely on spread sheets, clipboards, notice boards, and from time to time a bit of sweet talking and arm twisting to function! Healthcare providers are tasked with trying to deliver one of the most important services in our society in an efficient and cost effective manner with limited resources, while also attempting to balance the skills, needs and desires of their employees. The sector is undoubtedly facing significant operational challenges with demand rising and resources falling. Considering the limited resources, the logical next step has to be finding new ways to improve operational efficiency, and the subsequent value of care to patients. This is where technology has excelled in recent years and it is a missed opportunity to ignore these advances. The latest eRostering / scheduling solutions can assist with managing the complex balance of workforce supply with service/patient demand. Agile employee scheduling/rostering, time and attendance and analytical insight can empower healthcare providers to optimise their workforce and make changes in response to internal and external changes in real-time. By automating these processes you can eliminate error prone paper-based rosters / schedules and excel spread-sheets along with time consuming administrative tasks. 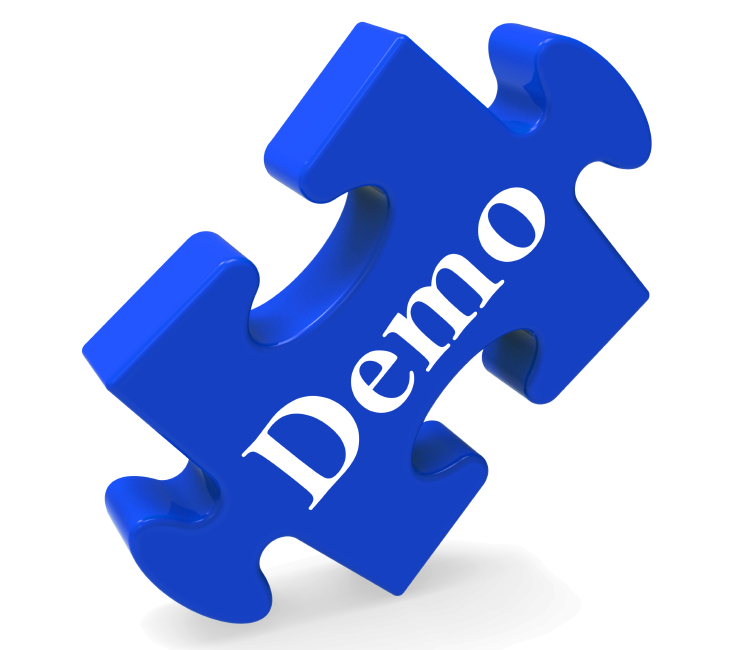 Allocating resources where and when they are needed, is easily achieved via innovative automated scheduling tools. 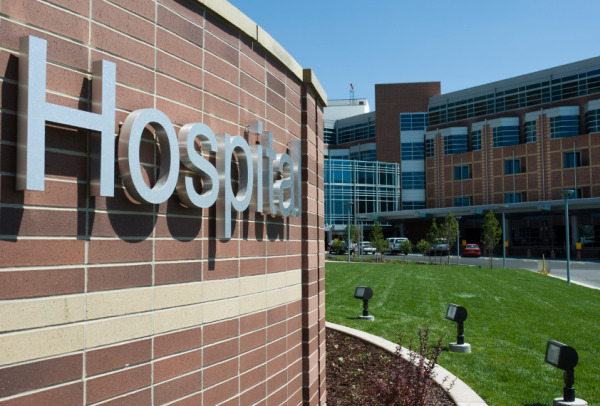 To see this in action take a look at how The Bon Secours Hospital achieved tangible results with automated Scheduling, Time & Attendance and Absence Management. Softworks were delighted to hear the news that the K Club in Co. Kildare has won the award for the world's Best Luxury Country House at the World Luxury Hotel Awards. 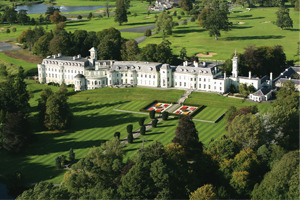 The K Club have been a customer of Softworks Time & Attendance and Scheduling Software for many years. This is a fantastic win for the hotel of a much coveted award. Over 1,000 hotels from 87 countries were nominated. Other global winners include world famous properties such as the Burj Al Arab, Dubai and The Harbour Grand in Hong Kong. Winners are purely judged on service delivery and effective management voted for by international tour operators, travel agents and hotel guests who get the opportunity to cast their valuable votes annually, making the process fair and unbiased. Softworks works with leading hotels around the world. Our Hospitality software solutions automate attendance and manpower planning processes, whilst managing and tracking holidays, absences, overtime, leave balances and complying with legislation. Click here for more about how we assist the hospitality sector. Softworks are delighted to be part of the 2013 HISI Stakeholders Summit which takes place in Dublin today. The one day event provides an opportunity for delegates to learn from international experience and to gain a better understanding of the shared challenges and opportunities faced by healthcare providers. Andrew Ferguson, Softworks CEO, was invited to present on how to overcome the challenges of staff scheduling / rostering in healthcare. 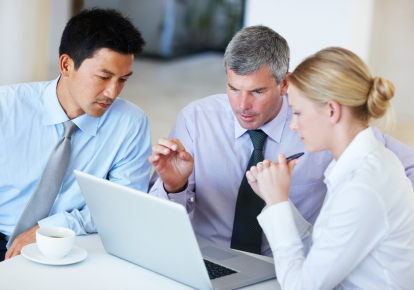 The healthcare sector is unlike any other sector when it comes to staff rostering/scheduling. Scheduling thousands of employees in a 24/7 organisation, with unknown and often unpredictable demand drivers is an enormous challenge. Add to this specific skills, legislative compliance, variable start and finish times, rotating patterns, contracts, employee preferences, numerous departments, teams and specialities…. It could not be more complex. He shared with delegates Softworks experience working with Irish and international hospitals/community & residential healthcare providers. Softworks Irish clients include; Beaumont, Bon Secours Hospitals, The Coombe, National Maternity Hospital, The Beacon, The Mercy Hospital, St Michael’s House, Children’s Sunshine Home, Laura Lynn House. 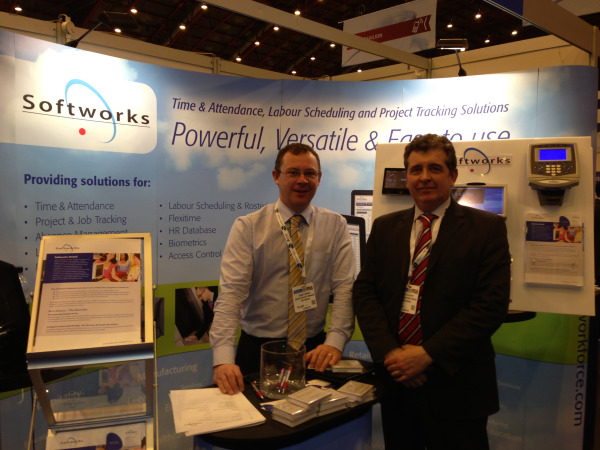 Softworks have developed specific software to make light work of employee scheduling in healthcare. Unlike historic hospital rostering software that was often only used by the nursing department. Softworks software manages rosters across the entire hospital from admin staff to porters, doctors, nurses, departmental staff etc. In an era when computers can handle almost everything, it’s incredible that some healthcare organisations still rely on spread sheets, clipboards, notice boards, and from time to time a bit of sweet talking and arm twisting to function! 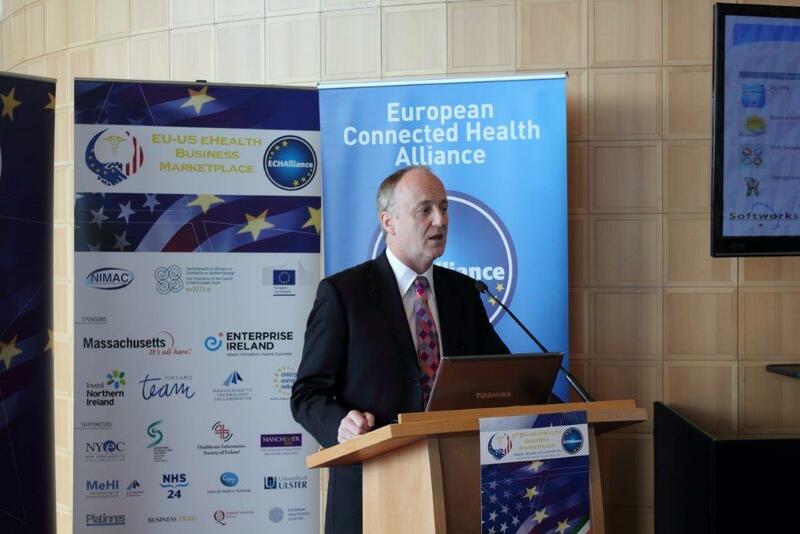 Softworks CEO, Andrew Ferguson was chosen to present at eHealth Week that took place in Dublin last week. eHealth Week brings together two main events the; High Level eHealth Conference co-organised by the European Commission and the Irish Presidency of the Council of the European Union, and WoHIT (World of Health IT Conference) organised by HIMSS Europe. The event brings industry partners and providers, government and regional decision makers from across Europe. The event attracts approximately 2,500 delegates each year. Andrew’s presentation, “Over my dead body will I "clock", sound familiar? We review "life" in a Healthcare clocking environment.” was a hugely popular session. Andrew shared with delegates his 20 years’ experience of assisting healthcare providers with Workforce Management solutions including time & attendance/flexitime, labour scheduling and absence management He demonstrated how the latest in Workforce Management Solutions can assist the healthcare sector build a clear picture of employee time through detailed data and reports on attendance, absenteeism, overtime, flexible working, scheduling and leave. Furthermore he revealed how today's solutions can make a positive difference to both the organisation and their employees. Softworks also recently published a new whitepaper that examines - How the latest in Workforce Management Technology can meet the Healthcare Sector’s Operational Challenges. You are very welcome to download this free paper. We have just published a new white paper that examines, how the latest in workforce managment solutions, can assist COOs and Operations Directors. The paper is free to download. Modern Workforce Management Platforms, build a bridge between the operational and the strategic elements of a business which is why they have become so important to assisting senior operations executives with their business challenges. They can assist companies of all sizes to increase operational efficiencies, reduce labour costs and attract and retain skilled workers leading to a more profitable business. In this paper we will look at the the multi-faceted and challenging role of the COO/Operations Director that includes responsibility for; business processes & operations, strategic planning & execution and driver of efficiency, and how WFM Solutions can assist in this all-encompassing role. Following this, we look at how modern WFM solutions, are driving operational and business performance and profitability, by striking a balance, between the needs of the business and the needs of the employee. Finally, we reveal why the latest in WFM technology is key to the future success of organisations and why today’s most senior operations executives are getting involved if not leading WFM projects. Uncover persistent offenders before they have a significant effect on your organizations bottom line. Automate the entire ‘end to end’ absence management process and assist managers implement it in a consistent, uni-formal and fair manner. Why you don't need a sledgehammer to crack a nut! Softworks CEO, Andrew Ferguson was chosen to take part in the Pecha Kucha seminars at the Retail Business Technology Expo 2013 that took place in London last week. Presenters have just 20 slides, and 20 seconds per slide to get their message across – and that means they get straight to the point – with no waffle. Not unlike speed dating for businesses! Great fun and the perfect solution for retailers starved of time but with an appetite for information, advice, tactics and tips on how to succeed in these challenging times. Andrew’s presentation, “Workforce Management Solutions - Why you don’t need a sledgehammer to crack a nut!” was a hugely popular session. Andrew shared with delegates his 20 years’ experience of assisting retailers get a labour scheduling solution up and running quickly and cost effectively. "For some retailers, they neither have the time or the resources to wait for a bespoke real time scheduling & optimisation system. It can take up to 2 years to develop and install some systems! With recent advances in technology, it's now possible for retailers to get up and running quickly, by using an ‘out of the box’ scheduling solution,that will give 80% of the benefits of a full bespoke solution straight away. They can then fine tune and expand as time goes on, using their managers experience and knowledge, to get the next 80% from what's left, and the next 80% and so on." Softworks were delighted to be part of the Retail Business Technology Expo 2013 which took place in London on Tuesday and Wednesday of this week. RBTE is the largest and fastest growing retail solutions exhibition in the UK and Europe. Once again this year the event was buzzing with attendees from the retail, leisure and hospitality sectors, all looking for ideas, solutions and inspiration to reduce costs, boost sales, increase margins and customer engagement across all the multiple channels available. 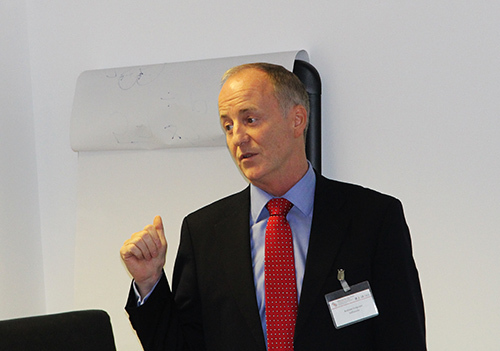 Softworks CEO, Andrew Ferguson was chosen to take part in the Pecha Kucha seminars. Presenters have just 20 slides, and 20 seconds per slide to get their message across – and that means they get straight to the point – with no waffle. Not unlike speed dating for businesses! Great fun and the perfect solution for retailers starved of time but with an appetite for information, advice, tactics and tips on how to succeed in these challenging times. "For some retailers, they neither have the time or the resources to wait for a bespoke real time scheduling & optimisation system. It can take up to 2 years to develop and install some systems! With recent advances in technology, it's now possible for retailers to get up and running quickly, by using an ‘out of the box’ scheduling solution, that will give 80% of the benefits of a full bespoke solution straight away. They can then fine tune and expand as time goes on, using their managers experience and knowledge, to get the next 80% from what's left, and the next 80% and so on." Softworks consultants Barry Coogan and Steve Holloway(pictured below) were also kept very busy demonstrating our solutions to retailers, who were looking for further information on how the latest in WFM technology can assist them with their operational challenges.